The Springfield Township Rotary Club thanks the following firms and organizations for their support of our 39th Annual Rotary Fruit Sale where we raise much needed funds to help in both local and international service projects. You can help too by supporting our Fruit Sale and patronizing these local firms that have generously given to help the cause. 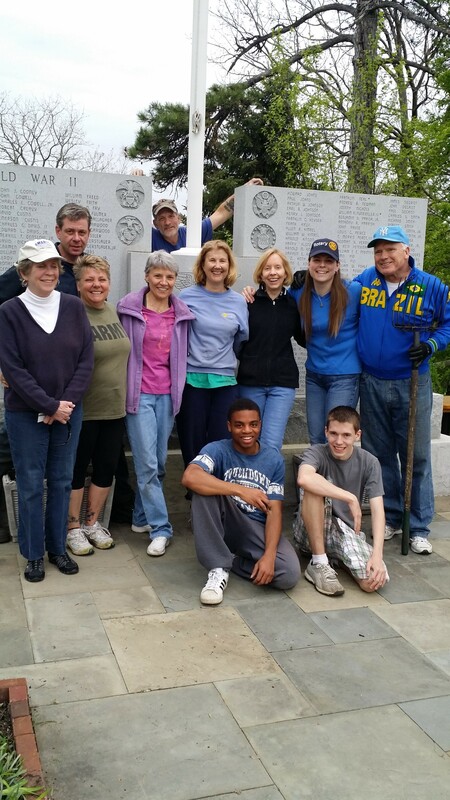 On Wednesday May 7th, members of the Springfield Township Community and Springfield Township Rotary Club came together to do a spring clean up of the Flourtown Erdenheim War Memorial. 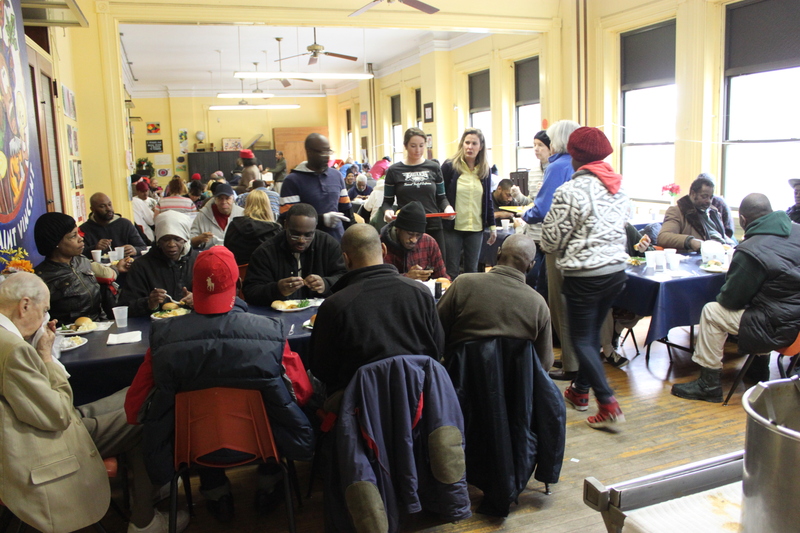 This was a group effort, thanks to the volunteer contributions of many. 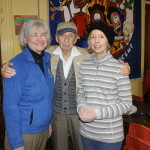 A special thanks to Wendy Souders, Robin Fittipaldi and Carole Souders Berneski who started the weeding a day in advance. June W. O’Neill who having seen the event posted on Facebook donated all the mulch for the project. Shane Halligan Memorial Fund also provided a monetary donation for the flowering annuals still to be planted just before Memorial Day. Yesterday, Rotarians and local volunteers, pruned, finished up weeding, and spread the donated mulch. The Souders Family, a local military family maintains the site. Their son, Spc. Russell H Souders III, is currently serving abroad on his second tour of duty in Afghanistan and the community is looking forward to welcoming him home this summer. This years Memorial Day Services will take place on Monday, May 26th 11:45am. New names are being engraved this week, due to a generous donation from the Sandra C. Lesser Charitable Foundation. Pictured Middle Row Left to Right: Rotarian Janice Mannal, Mike Doyle, Wendy Souders, Rotarian Dorothea Hatt, Rotarian Elizabeth Shannon, Rotarian Claudia Campbell, Rotarian Amanda Helwig, and Rotarian William Totten. Bottom Row Left to Right: Maurice Rippel and Nolan Souders. Above Center is Ret. 1st Sgt. Russell H. Souders Sr.
DUE TO LOWER THAN EXPECTED TICKET SALES THIS EVENT HAS BEEN CANCELED. 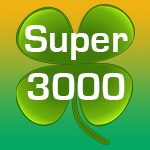 The Springfield Township Rotary Club Super 3000 Committee met to plan this years next upcoming fundraiser. The Club has run this very successful and fun filled evening in the past. This years event is no exception and will take place around St. Patty’s Day, Saturday, March 15th, 2014 CANCELED at Sandy Run Country Club. 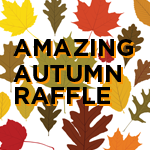 100 tickets will be sold for $100 each, and can be requested below. 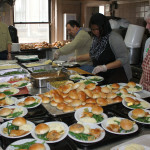 Day of Service Brings Out Community and Rotarians the Honor MLK, Jr. 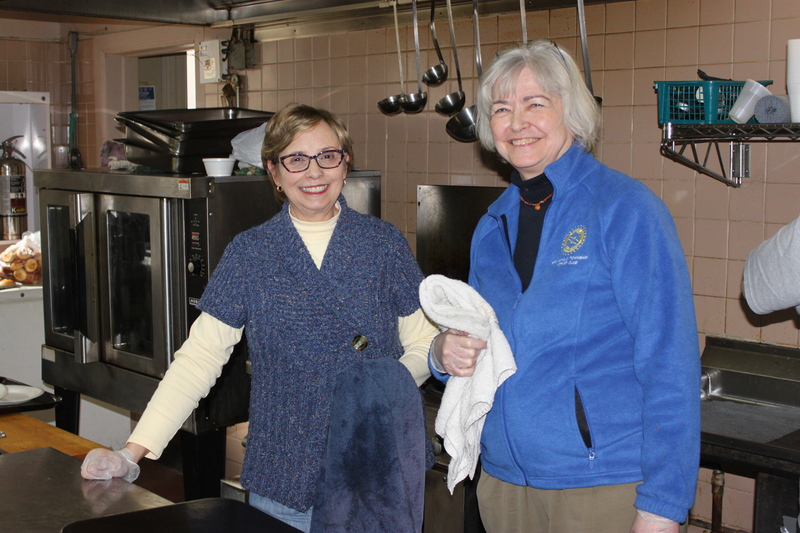 The Rotary Club of Springfield Township inspired others to lend a hand in honor of Martin Luther King and a national day of service to others. 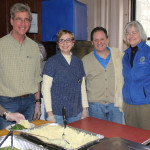 The Rotary ran a two fold campaign using mostly Facebook to spread the word. The first part of the fundraiser was to collect toiletry items for the “Washeteria” at Face to Face Shelter in Germantown. The “Washeteria” allows people to come in and shower and wash their clothing in a dignified manner. Most of the participants are homeless war veterans. 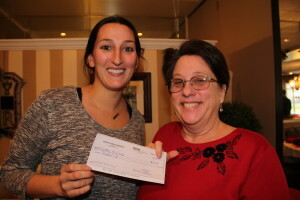 Numerous donations poured into Dan Helwig Realtors in Flourtown who offered to be a drop off location on behalf of Rotary. 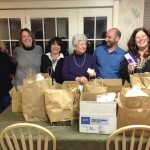 Tthe Springfield Democrats picked up on the news feed and held their own collection to contribute. All in all, thru Rotary and the combined efforts and donations of others who found out about the fundraiser on Facebook, 2000 Toiletries were collected and donated. 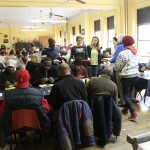 The second half of the project was to collect money to pay for 200 meals on MLK Day at Face to Face. 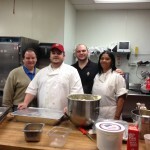 When last years restaurant vendor bowed out due to increased costs of chicken, Sandy Run Country Club stepped up. 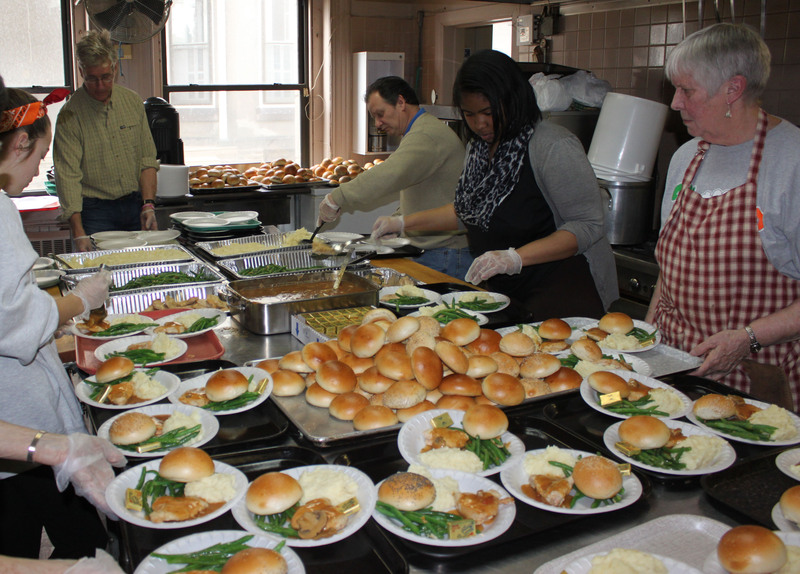 Mike Creeden, Manager at Sandy Run, was able to get most of the vegetables and chicken donated for free and his staff at Sandy Run prepared the 200 meals at no cost. 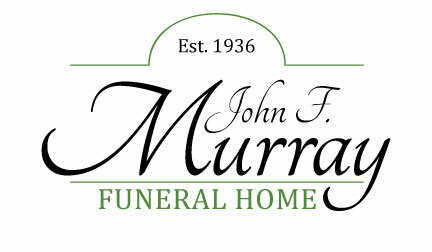 Because of Sandy Run’s generosity there is a surplus of over $750 which will be donated to Face to Face as a monetary contribution to help with the upkeep and maintenance of the facility. 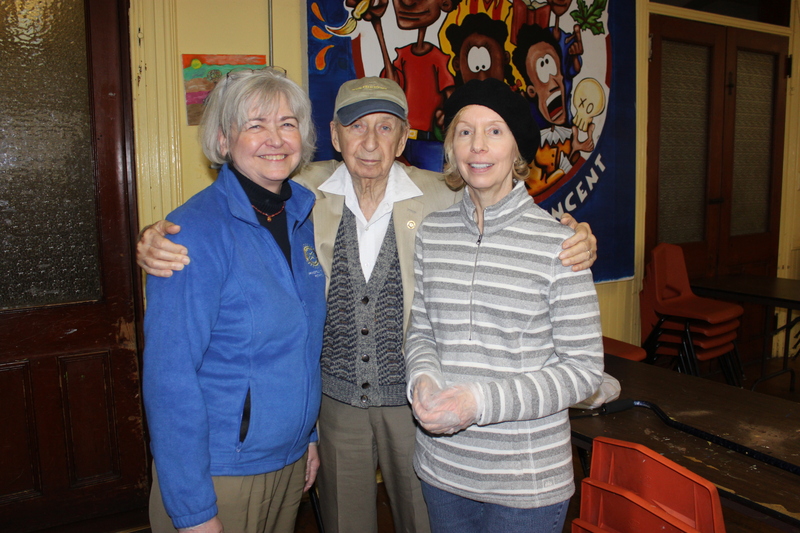 On MLK Day, Rotarians and other volunteers served 200 grateful people at Face to Face who enjoyed an amazing and nutritious meal. 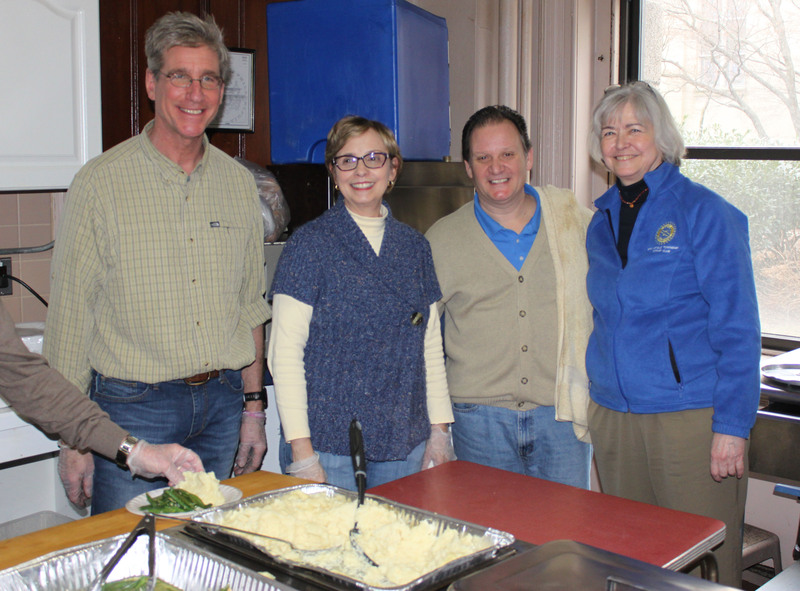 Though MLK Day comes but once a year, Rotarians keep service in their hearts all year long living by and spreading their motto “service above self”. The community recognized their Facebook call to actions and the response was nothing less than extraordinary. 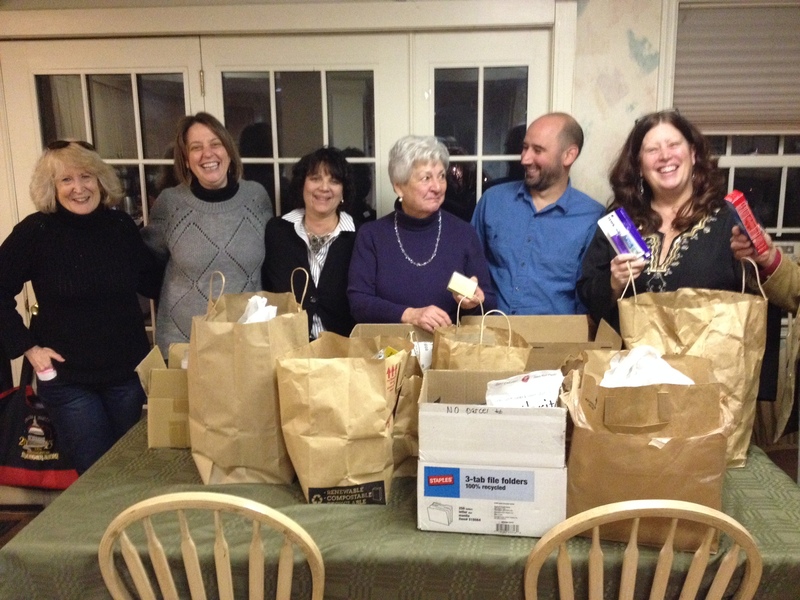 Springfield Democrats Collect Food to help in the effort. Rotary welcomed Wendy Souders from the Green Dot Moms today to Rotary. The Green Dot Moms are a closed group of Facebook mother’s supporting each other while their children are deployed abroad. They have been sending care packages to their children’s unit if only to bring smiles to their children’s faces and for them to know they are loved and people back home care and are thinking of them. 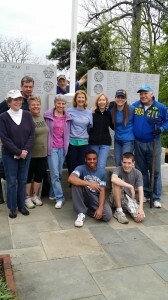 The Souders Family also is instrumental in maintaining the Flourtown Erdenheim War Memorial on Bethlehem Pike, which the Rotary Club just completed a $20,000 renovation on last year. 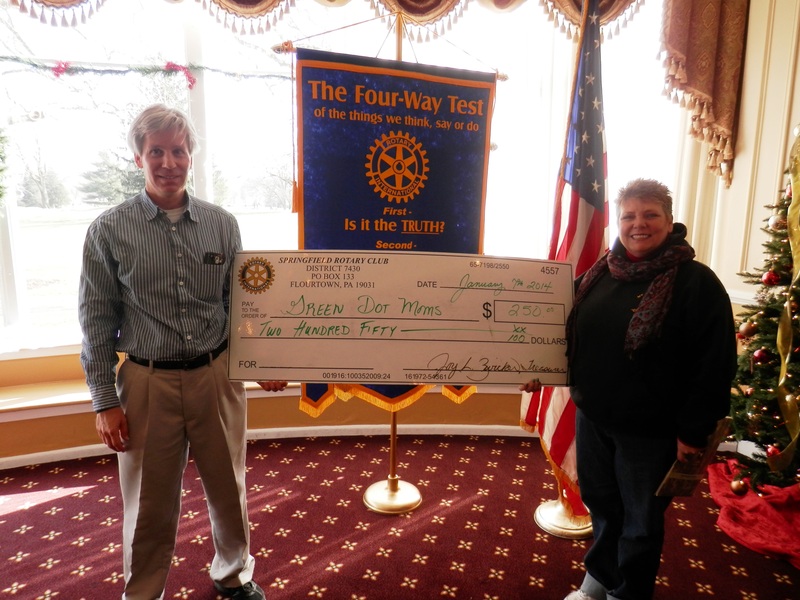 Today, Rotary Club President George Schaefer presented Mrs. Souders a check for $250 to help defray the shipping costs of the care packages. We love our troops and the Rotary Club will always support you! Pictured Left to Right, Pres. 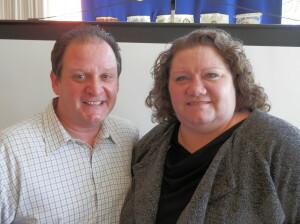 George Schaefer and Wendy Souders of the Green Dot Moms. The Rotary Club of Springfield Township was pleased to welcome Stephanie M. Belzer, Director of Development for Carson Valley Children’s Aid. Ms. Belzer gave an overview of whom Carson services, and future planned projects. 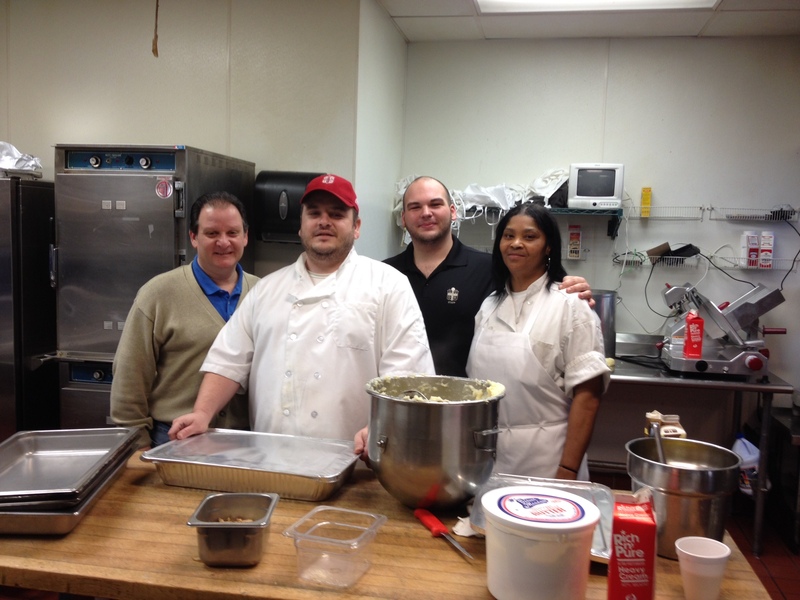 The Rotary Club of Springfield Township is collecting food items to give needy families a Thanksgiving meal. If you are interested in donating please email us. 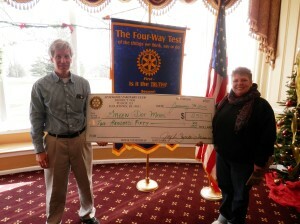 Pictured Left to Right: Rotary Vice President Michael Creeden and Stephanie M. Belzer of Carson Valley Children’s Aid. 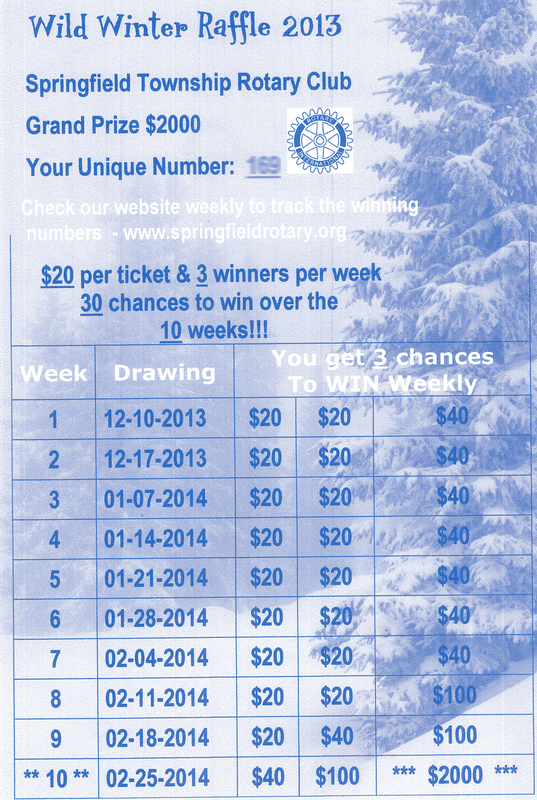 Congratulations to the winners from our first three drawings. 2. 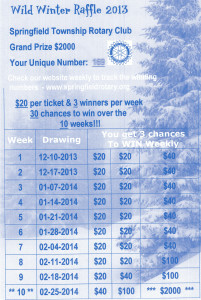 #62- $20 Ray Fox Sr.
Big Winner, $2,000- Congratulations to John Schmidt #131! !